SrA. 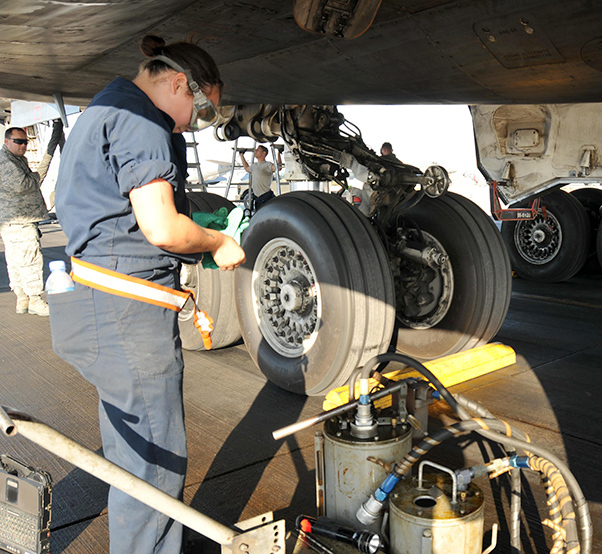 Alexis Anderson, a 379th Expeditionary Aircraft Maintenance Squadron crew chief, services oil on a B-1B Lancer during a post-flight inspection Jan. 11, 2016, at Al Udeid Air Base, Qatar. Inspections are done to every B-1 after a mission. Anderson is deployed with the 307th Expeditionary Aircraft Maintenance Unit from Ellsworth Air Force Base, S.D. The B-1 has been under the operational support of the 379th Expeditionary Aircraft Maintenance Squadron,and has set records during the July-January rotation with military members from the 307th Aircraft Maintenance Squadron, stationed at Ellsworth Air Force Base, S.D. “This rotation has supported a total of 490 sorties and enabled 4,850 bombs to be dropped in six months,” said Capt. 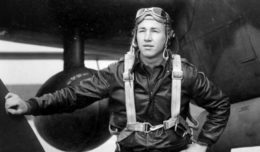 Abraham Smith, the 379th EAMXS officer in charge. “When the B-1 leaves this will be the first time since 2001 we won’t have B1s in the area of responsibility. The previous Lancer unit supported 1,068 bombs dropped in one month, while the 379th EAMXS has supported 2,224 bombs dropped, he added. Accomplishments of this magnitude do not come easy, he said, and being able to maintain such a high operational tempo does not come without challenges. “Hundreds of thousands of manpower hours have been put into the past six months to keep these aircraft running and it’s been a very challenging and an exhausting deployment. However, we’ve found ways to make it enjoyable,” Smith said. He also added that getting parts for the aging aircraft is a big challenge, but he went on to say that nothing is more satisfying than when they overcome the challenges and fix it. He also said that being able to get the aircraft turned around and back in the fight in a timely manner brings a lot of satisfaction to the team. In order for the B-1 to continue its daily operations there are teams of airmen that ensure the aircraft’s capabilities are mission ready.